How do dueling Archetypes work? I love this deck. I would add Urabrask the Hidden, Archetype of Aggression, Archetype of Imagination, and Archetype of Endurance. I think any number of those would help you out. cards to remove (They either have no synergy or are kinda bad): Fleshbag Marauder, Resolute Archangel, Impale (replace with Hero's Downfall), Mind Rot, Repeating Barrage, Diabolic Edict (Replace with Doom Blade), Smelt (replace with Vandalblast), Pillar of Origins, and Arcane Encyclopedia. 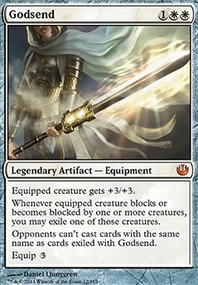 Cards to Add: Mardu Banner, Rakdos Signet, Orzhov Signet, Boros Signet, Darksteel Plate, Whispersilk Cloak, Sigarda's Aid, Open the Armory, Chandra's Ignition, Darksteel Ingot, Fellwar Stone, Commander's Sphere, Command Tower, Tenza, Godo's Maul, Sunforger, Swords to Plowshares, Boros Charm, Crackling Doom, Mortify, Archetype of Aggression. I would also replace some basic lands with duals (http://www.mtglands.com/). Check EDHREC (https://edhrec.com/commanders/zurgo-helmsmasher) for more ideas. First off, I would highly recommend more card draw. I see you have some, but it could definitely use at least Rhystic Study and Sylvan Library. Those are possibly the best card draw engines in the format. Skullclamp also looks amazing in this deck. Secondly, some more mana acceleration would greatly help the speed of the deck. I would recommend at the very least Birds of Paradise, Noble Hierarch, Bloom Tender, Mana Crypt, and Deathrite Shaman. 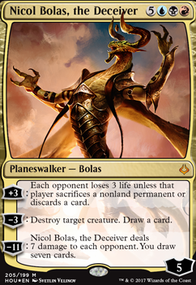 Commander's Sphere, Thran Dynamo, Mana Vault, and Gilded Lotus also wouldn't hurt, but they aren't as essential. I know they're not warriors and might seem kinda boring, but they are crucial to a successful deck. I would also recommend cutting the lands the enter the battlefield tapped in favor of all the fetchlands and original duals if you can afford them or can proxy them. Considering this optimized landbase, Farseek, Nature's Lore, and Skyshroud Claim all become viable options if you need them since they hit shocklands and the og duals as opposed to Cultivate and Harvest Season (though I don't think you really will need them). As for cuts, at first glance, Archetype of Aggression doesn't seem overly strong considering the bulk of most of your creatures. Combat Celebrant seems redundant with Najeela, and Thrilling Encore is probably just better than Garna, the Bloodflame, but you might need to maintain your warrior count, you've done more testing than I with this deck, so that's up to you. Aggravated Assault seems unnecessary for the same reason as celebrant, but it's not even a warrior. Wretched Confluence is actually surprisingly weak, I'd recommend cutting that. Chance for Glory isn't really the greatest; it does nothing the vast majority of the game, sometimes all of the game. You're in blue, just run Time Warp if you want an extra turn. Kolaghan's Command is dissapointing in edh as compared to modern. If you're looking for something that hits multiple targets, you can run Decimate and Curtains' Call. I'd also recommend Austere Command for this. Noxious Revival seems kinda unnecessary for this kind of deck, but it's fine. A few random suggestions to end off, I'd recommend at least having one or two emergency counterspells like Pact of Negation, Negate, and/or Disallow/Counterspell. I would also highly recommend a Craterhoof Behemoth. That thing slaughters people. Eldrazi Monument also seems great in this deck due to all the tokens you're generating. Sorry, I know that's a lot more suggestions for additions than cuts, but that speaks to the power of the list you already have here. It's kinda tricky balancing the warrior count with other "better" options. Trust me, I played a Gishath, Sun's Avatar deck back when he was released, and keeping dino numbers high while trying to run as many cards that are just better was rough, but it can be done. Keep at it! Hmmm, I could think of a few ways to up-tune this deck if you'd like your combat phase to be a little spicier. Akroan Hoplite I would swap for Eidolon of Countless Battles as it's power and toughness are equal to the number of creatures you have, not just the attacking creatures. Archetype of Aggression has three power so it can not be recurred with your commander. 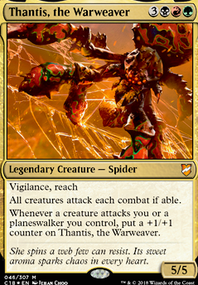 Since most of your creatures have 2 power giving them trample is not the greatest keyword ability you could give them. Instead I think Goblin War Drums could give your creatures more of an edge and damage output instead. Armored Transport is alright, but Everdawn Champion would be a good upgrade as you can also use the champion to block without it dying, and it doesn't die to artifact removal. A better card for Ashmouth Hound would be Benalish Cavalry as it has one more toughness and it decreases the blocking creature's power as well. This makes the Cavalry better as it is much more likely to survive in combat unlike the Hound. Attended Knight is alright, but a stronger inclusion would be Blade Splicer as it puts more power on the board for the same mana, and if the Splicer dies, recurring it multiple times produces bigger tokens than the Knight. Battle-Mad Ronin can be a 3/3 for 2 mana, but when it's not blacked it doesn't do a lot of damage to your opponent, and sometimes you are forced to attack with it when it would not be preferable to do so. War-Name Aspirant would be more preferable, as you get a 3/2 with an added ability that makes it harder for your opponent to block it. It also doesn't have to attack each turn so you can use it to block if needed. Capashen Knight is alright, but if you're short on mana to pump into him he can be rather ineffective. A reasonable replacement would be Knight of Grace which should easily be a 3/2 first strike if you or another player have a black card or creature on the battlefield. Having a constant 3-power first strike creature would be the equivalent of paying 4 mana into the Capashen Knight every turn. Plus the Knight of Grace has one more toughness and hexproof from black so it's much harder to remove as well. 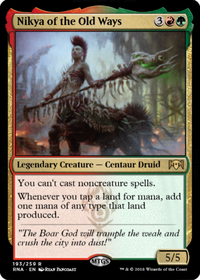 Devoted Retainer's Bushido can make it a 2/2, but Isamaru, Hound of Konda would be a strong inclusion as it's always a 2/2 which means it would deal more damage to your opponent when not blocked. Dragon's Eye Sentry can be a sizeable 1 mana defender, but I think this deck would enjoy Snubhorn Sentry more as most of the time it will be a 3/3 for one mana that can also attack. Kiln Walker is a standard 3 mana 3/3, but a better card to run would be Nighthowler as having just 3 creatures in any graveyard makes it just as big all the time rather than when only attacking. In commander graveyards tend to fill up fast so the Howler will always be larger and larger as the game drags on. Paragon of Fierce Defiance, Paragon of New Dawns, and Paragon of Open Graves do provide anthem effects, but since their anthems are limited by color of creatures you won't always get the paragon you need to buff up your whole team. Instead I would recommend running Angel of Invention, Ravos, Soultender, and Drana, Liberator of Malakir as they all can pump up your creatures regardless of color restrictions. Pulse Tracker has a unique effect however you may want to switch it out for Vicious Conquistador as it is the same exact card, but with 1 more toughness, which will help it last longer in combat. Rogue's Gloves does provide card draw, however; you may enjoy Mask of Memory more as the equip cost is cheaper, and drawing two cards then discarding one card can be more advantageous than drawing just one card. Legion's Initiative only really buffs the attack of half your creatures which can be not as helpful if you don't have any red creatures out besides your commander. Leonin Sun Standard may prove better as it can pump all your creatures multiple times if needed. Orcish Oriflamme can provide increased attack power for your creatures, but it's nowhere near as good as Glory of Warfare which provides more attack power, and it also provides more toughness when you need blockers. You might also want to touch up on your mana-base a bit. Path of Ancestry works exactly like Nomad Outpost as it produces the same colors, but you can also scry with your commander off it. Command Tower and Ash Barrens also provide excellent mana fixing that you might want to look into. Other lands you may want to consider obtaining would be Wind-Scarred Crag, Tainted Peak, Isolated Chapel, Clifftop Retreat, Graven Cairns, Fetid Heath, and Rugged Prairie. I hope you find these card suggestions useful to you. If you wanted to play more non-Deathtouch creatures, or just want to remove DT from your opponents, there is Archetype of Finality. With Archetype of Aggression you can still pass on any extra damage to the player. Paragon of Open Graves gives one thing DT but boosts most of your creatures. Some good R/B draw choices are Faithless Looting, Sign in Blood, Night's Whisper, and Read the Bones. I kind of went off the rails lately with cutesy interactions and stuff, and made that deck less effective overall, so back to the core of what makes the MB work! 2x Maelstrom Pulse: Moved from SB to MB. 1x Assault Formation: Going down to just two of these resulted in too many instances of not having the effect on the field. Three gets me the redundancy I need. -1x Eldritch Evolution: Went too heavy on the creatures and didn't have enough pressure otherwise. -1x Archetype of Aggression: I like this effect, it is just better suited for the sideboard. Next stop: re-evaluating the sideboard!